Relaxing in gardens with perfect sunset views of the Taj - Mehtab Bagh. Enjoy the riding on an elephant back. Discover jaipur attractions like City Palace, Jantar Mantar & Hawa Mahal etc. Taj Mahal has been the representative of India since very early times, the architectural splendour of India is quite visible through this monument. And it is not only the architectural splendour but also the intent behind its construction. This monument was constructed as a testimony of the immortal love shared between Shahjahan and his wife Mumtaz Mahal. Taj Mahal combined with monuments like Agra Fort, Hawa Mahal, India Gate etc will be an awesome touring experience. 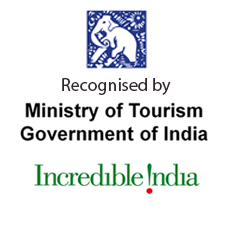 Highlight of this tour is Taj Mahal undoubtedly but it is not deniable that other monuments like Agra Fort which is a UNESCO world heritage site, India Gate (also called All India War Memorial, Red Fort- a monument being given a lot of importance during the Independence Day proceedings are also the ones not to be missed out. Come and live through the grandeur of Indian history at this trip with us! 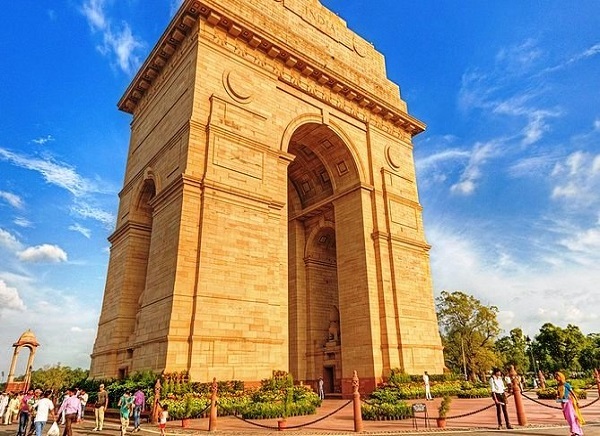 Starting of this tour will be marked with your arrival at Delhi where you will be taken to a hotel after a warm welcome by our representatives. 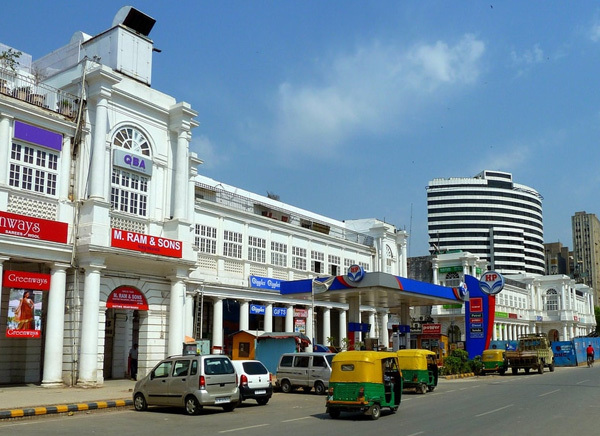 Delhi is the city where the resplendent historical saga of India exhibits itself flawlessly. You can relax in your private space for sometime after which you will be taken for a half day city tour of Old Delhi visiting sites like Jama Masjid (the largest mosque in India), Rajghat -the cremation site of Mahatma Gandhi and Red Fort (built by Shahjahan). You can also go for a shopping spree in the colourful market of Chandni Chowk which lies just besides Red Fort. Overnight stay at Delhi. Post breakfast a drive will convey you to Agra. This city was a small village until it became the epicentre of the Mughal dynasty. 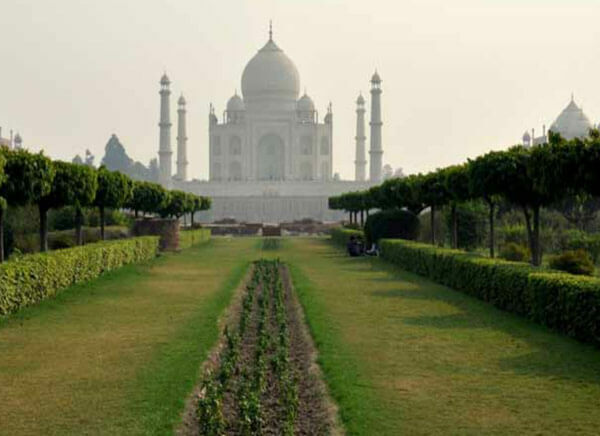 Freshen up yourself after checking in at a hotel and later, embark on a sightseeing tour of Agra. First destination of the tour will be Taj Mahal. This monument (constructed by Shahjahan using white marble) is the mascot of India as it is one of ‘Seven Wonders of the World’. It was built in the memory of Mumtaz, the beloved wife of Shahjahan. 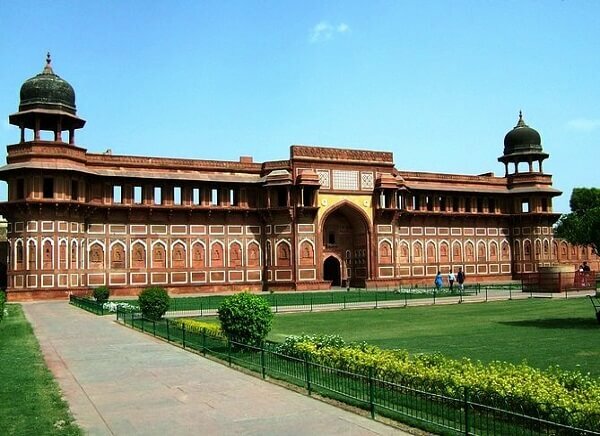 Proceed on to see Red Fort of Agra-an expansive red fortress and the tomb of Itimad-Ud-Daulah. Overnight at Agra. After having a delicious morning meal at the hotel in Agra, you will be transferred to Jaipur - the city ornamented with pink structures all over. Enroute you will be taken to Fatehpur Sikri where you can see the grand Buland Darwaza (known to be the largest gateway in the world). Resume the drive later and on reaching Jaipur you will be shifted to a pre-booked hotel by our officials. Afternoon you can shop for souvenirs, outfits, junk jewellery etc at the local market places. Thereafter a visit to a splendid theme village is scheduled. Reposeful night stay at Jaipur. On day fourth, you will be comfortably driven to Amber Fort tucked on a hill. As you arrive at the foot of the hill, you will ascend towards the fort gate while riding on an elephant back. 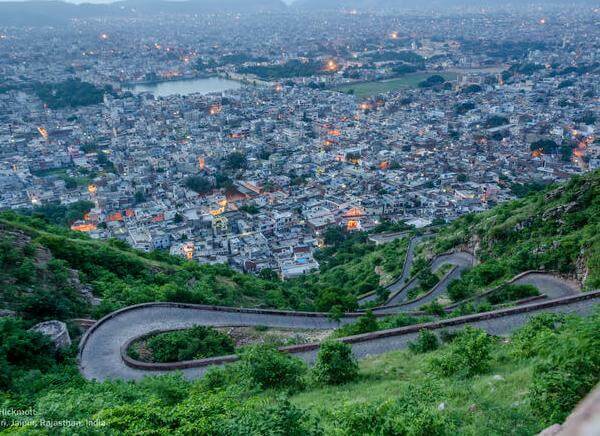 After viewing the strikingly impressive features of the fort, head towards some more attractions like City Palace, Jantar Mantar and Hawa Mahal. City Palace houses a museum showcasing art objects and Jantar Mantar is an observatory showcasing astronomical devices of olden times. Third site on your list that’s Hawa Mahal was specially constructed with 935 windows so that the royal ladies could look at the festivities and proceedings outside. Evening will be devoted to shopping and recreational activities. Overnight at the hotel in Jaipur. Come morning, you will be served a scrumptious breakfast after which you will be driven back to Delhiwhere you will be shifted to a hotel. Freshening up at the hotel will be followed by a half day city excursion of some unseen sights of Delhi. A lavish farewell dinner will be arranged for you with eye-pleasing sight of traditional Indian dances. Later, assisted drive to the airport where you board a flight back home/for onward destination.